Cupcakes & more… developed these delicious mouth-watering brownie shots for all the brownie lovers out there! These are made with 3 chocolatey fudge brownie layers and your choice of buttercream flavors between each brownie layer. Each is served in a clear shot glass with a mini taster spoon. 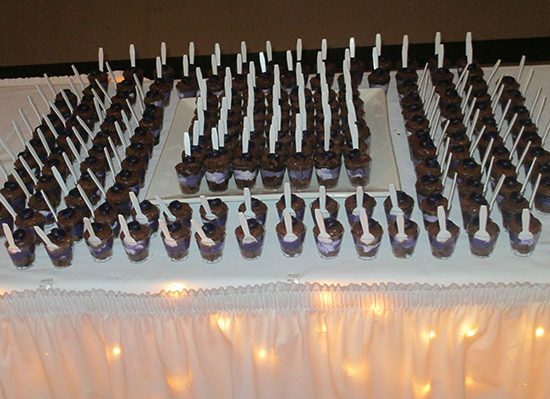 Prices begin at $1.75 each, and 2-layer brownie shots are available. Regular brownies are $1.25 each. Please call for special requests!